As I sit here on a glorious late September afternoon, I realize that its the last day of yet another baseball season. Baseball more than another sport has its very consistent rhythms; the wind up of the pitcher, the lead of the runner from the base, the home run trot, and of course the New York Mets ending another season as an also ran. 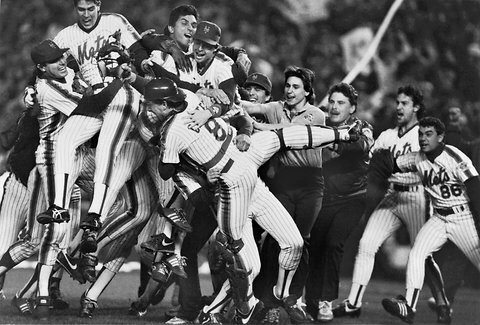 It dawned on me this week that its been a REALLY LONG time since my beloved Mets have won the World Series. In fact now that they have now been eliminated from contention again, the streak that dates from October 27, 1986 (photo above) is guaranteed to exceed 10,000 days. Lets put some context around that number. Its over half of my life ago. Heck my hair was all brown then! It was 3,642 days before my first date with the woman who would become my wife. No one in the MPP class at the Kennedy School was born yet (at least it doesn’t seem so!). Ronald Reagan was president, Mikhael Gorbachev was the Soviet premier, and the Berlin Wall stood. George Bush had yet to find his savior and George Michael was still part of Wham! My favorite band, the Who was in the midst of one of its many retirements. As far as the Mets, they played in palatial Shea Stadium (1964-2008). Frank Cashen was the general manager and Davey Johnson was in his first of what seems like 100 managerial jobs. The Amazing’s had a team that was seemingly at the start of a long run of excellence. We had Doc (4 Jail stints), Darryl (too many rehabs to count), Cool Keith Hernandez (remember when people smoked? ), and the Kid (Gary Carter) who sadly died much too young. I remember thinking that we finally had a team like the old Yankees, the A’s or the big Red Machine. So what happened. The Met Karma came back with a vengeance. Doc Gooden missed the victory parade as he was too wasted to make it. A harbinger of things to come. They traded Kevin Mitchell (soon to be NL MVP). Ray Knight left for more money, and Bobby Ojeda went boating. While there was one more deep playoff run in 1988, the magic was gone. My memories are augmented now going to “old-timers” days and listing to Keith and the brilliant (for a Yale guy) Ron Darling on Met telecasts. Since 1986, the Yankees have won the World Series FIVE times (once against the Mets), the Red Sox and the Cardinals have won twice each. 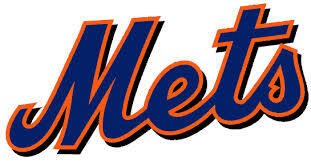 The Mets have 2 wild card berths and 2 divisional titles in those long 10,000 days. Of course we also won the sweepstakes for VInce Coleman, Bobby Bonilla, and Jason Bay. And lets not forget the 41 year old poker champion, Rickey Henderson. We do have David Wright and young pitching staff led hopefully by Matt Harvey. There is a beautiful stadium, Citi Field, in which I still feel a bit odd. Of course, all Met fans hope that Bernie Madoff will come out of jail to help invest the teams proceeds. That seemed to work wonders in the past. I guess what all Met fans have is what we have always had. Hope. Ill see you in April!! This entry was posted in Sports, Uncategorized and tagged Bobby Bonilla, Citi Field, Davey Johnson, Frank Cashen, Mets, New York Mets, VInce Coleman, World Series on September 29, 2013 by kushnerjr.